We do a lot of custom wallpaper of city skylines, especially night skylines. This one is particularly stunning, it’s 30 feet wide of Las Vegas at night. We made it from a good photo purchased from Dreamstime for about $25. We printed this on our wallboard vinyl, it would look the same on smooth wallpaper. A smooth material works better when you have a lot of black in the photo. 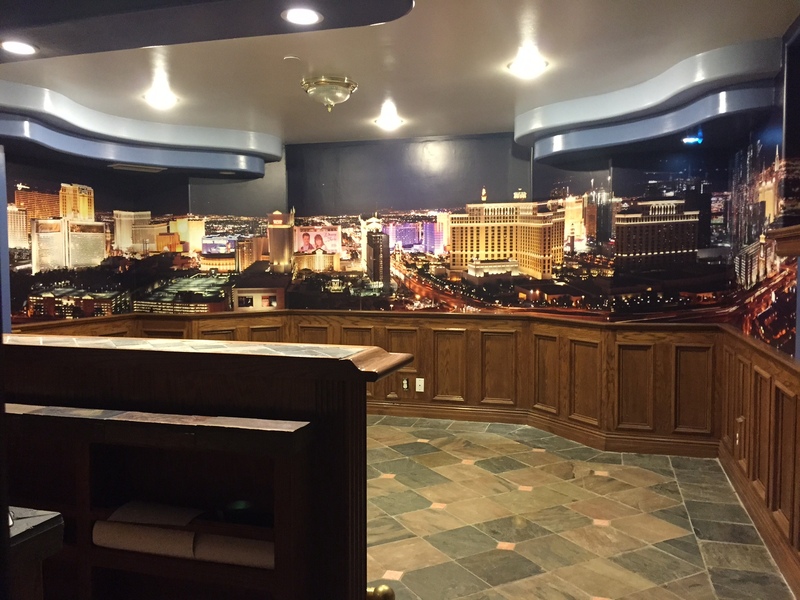 This entry was posted in Custom Printed Wallpaper, custom wall murals and tagged city skyline wallpaper, custom wall mural, night sky wallpaper, panoramic photo. Bookmark the permalink.